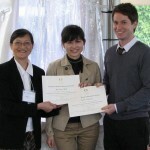 My advisee Ya-ting Shih was awarded the 2011 Summer GRA in Cognitive Science from OSU’s Center for Cognitive Science. The GRA is for interdisciplinary research that is relevant to cognitive science. 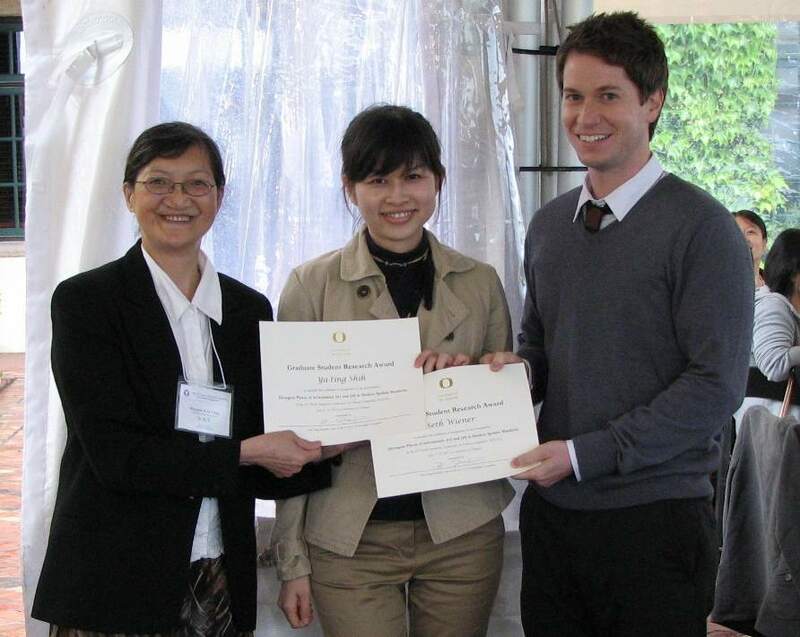 Ya-ting Shih was also awarded the NACCL-23 Graduate Research Award for her paper “Divergent places of articulation: [w] and [v] in modern spoken Mandarin”, which she presented with co-author Seth Wiener at the 23rd North American Conference on Chinese Linguistics, Eugene, Oregon, 17-19 June 2011. In the photo you see Ya-Ting and Seth with Professor Marjorie Chan, who serves on Ya-Ting’s committee along with Professor Mary Beckman and me.